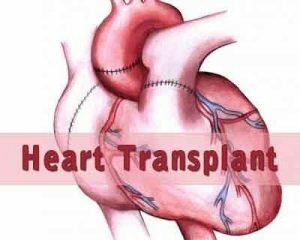 New Delhi : Doctors at AIIMS have transplanted a heart, harvested from a young traffic accident victim in Indore, into a 45-year-old cardiac patient from south Delhi, taking to 48 the number of such surgeries performed at the premier institute since the first transplant in 1994. This is the 11th heart transplant undertaken at the AIIMS in 2016, the highest number in the last few years, officials said. “The patient suffered from ischemic heart disease (condition that affects the supply of blood to the heart) and already had a stent procedure surgery. The heart was harvested from the 30-year-old man in Indore who had died in a road accident. “It was flown through a green corridor to Delhi and transplanted in him, between three and a half to four hours,” Professor of Cardiothoracic and Vascular Surgery at AIIMS, Balram Airan said. Doctors and experts at the institute say the upward trend in the number of transplants in recent time can be attributed to increased awareness especially through campaign and advocacy programmes. “The surgery was performed and the patient belongs to Jamia Nagar. The 11 transplants this year so far, makes it one of the highest in recent years,” Senior Organ Transplant Coordinator at AIIMS, Rajeev Maikhuri said. Apollo Hospitals have done about 100 transplants, and overall the number of heart transplants done in the country should be around 250, he said. “There are a lot of factors considered before conducting the transplant. The recipient list is categorised based on blood groups, and so right now B+ group list is vacant here, which means, if a heart comes from a donor who was B+, it cannot be used,” he said. “If the donor is elder than the recipient then it is fine but if he/she is younger, then weight factor comes in, which decides the size of the heart. If the heart is too small for a recipient then it could trigger difficulties, so a proper match has to be made,” he said. “AIIMS is currently offering heart transplant facilities at Rs one lakh for surgery with medication at Rs 25,000 per month, and ventricular assist device implantation at Rs 70 lakh,” the institute said. On Sunday, an awareness programme will be hosted in its campus, during which cardiologists, surgeons, nurses and patients having undergone transplant or assist device implant surgery at AIIMS would also be present, it said. organ transplant should not be at a cost to the patient. This is how the black market in organ donation starts and also this ensures only the rich have a right to live.